Heard of Turkish Delight? 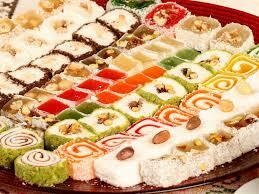 If you are a foodie and on top of that have a sweet tooth, you must have heard the name Turkish Delight. As the name denotes it is a sweet that has its origin and is from Turkey. It is among the oldest desserts in the world, and till date is a premium one in the candy category. Having originated 230 years back, no doubt there are several stories related to the birth if the Turkish Delight. The exact origin of these sweets is yet to be determined. However, there are couple of popular stories related to it. One legend has that a certain Sultan asked his Royal Chefs to prepare a special novel dessert. Through the dessert he aimed to win the hearts of his desired women that also included several of his mistresses. In the process the Turkish delight was born. Another legend has it that, the famous confectioner Bekir Effendi’s invention. Bekir moved to Istanbul from his hometown Kastamonu and opened his confectionery shop. He made a niche, soft and tender kind of candy or lokum(the regional name for that sort of dessert), which were dissimilar from the available traditional candies which were hard. He became so popular among the localites and with such a rapid pace, that in no time the royal court wanted and got a taste of this amazing creation. Bekir did not look back after that. He founded the Haci Bekir company, which he named after retuening from Hajj. This legendary confectionery shop is still there on Hamidiye Caddesi, Istanbul. In the Ottoman Empire, this dessert was also taken as a digestive food, which used to be taken after meals to help in digestion. At present, the Haci Bekir business includes five stores within Istanbul, and they ship their famous Turkish delight to customers all over the world. 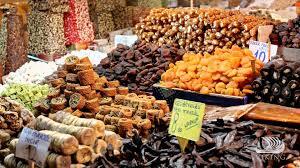 While Turkish delight is Haci Bekir’s most popular product, the shops also sell hard candies, nut pastes and halva, as well as biscuits, cakes and pastries. There is another story, a story of competition for supremacy among the Royal Chefs. In the competition a Royal chef came up with a dessert with cornstarch flavors and sugary syrup and filled it with nuts and dried fruits. This later came to be known as the famous Turkish Delight. The Turkish Delight’s native and most popular regional names are lokma and lokum, derived from the Arabic word luqma(t) and its plural luqūmmeaning “morsel” and “mouthful”. There is also an alternative Ottoman Turkish name rahat-ul hulküm meaning “comfort of the throat”. Turkish delight is very popular all over the world and is considered to be a premium quality dessert from a niche category. Long it has its presence in the East European region in countries like Greece, Bulgaria, Romania, Albania. In the 20th century, it made its mark in North America, Brazil, Australia, New Zealand. Turkish Delight’s premium varieties consist of chopped dates, pistachios, and hazelnuts or walnuts bound by the gel. However, traditional varieties are often flavored with rosewater, mastic, Bergamot orange, or lemon.